Bulgaria, Macedonia, Moldova, Poland or Ukraine - which makes the most financial sense for your business? The online trading industry has always been a very international affair. Even small startup firms usually have footprints in multiple countries and established brokers can have a presence in every continent except for Antarctica. Given this, the business has always been shifting from country to country as companies are exploring the best new locations. Recently, Eastern Europe is all the rage – offering an educated workforce with very competitive costs, and proximity to Western Europe, Russia and the Middle East. The region is however very diversified, rapidly changing and can be hard to crack if you don’t already have experience working there. This is where Finance Magnates Intelligence Department’s new report comes in. 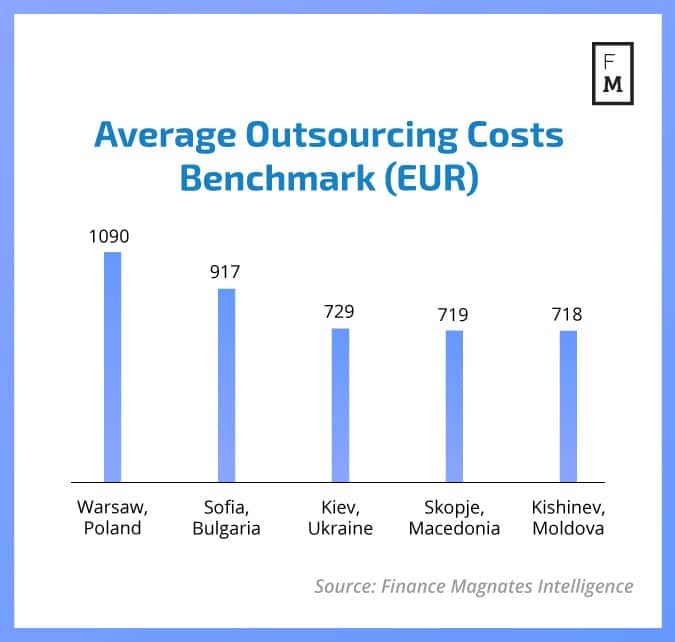 With a complete breakdown of advantages, risks and outsourcing costs in Bulgaria, Macedonia, Moldova, Poland and Ukraine, it will help you decide what makes the most financial sense for your business. Bulgaria, for example, offers a more suitable legal environment for regulated European brokers as an EU member state. 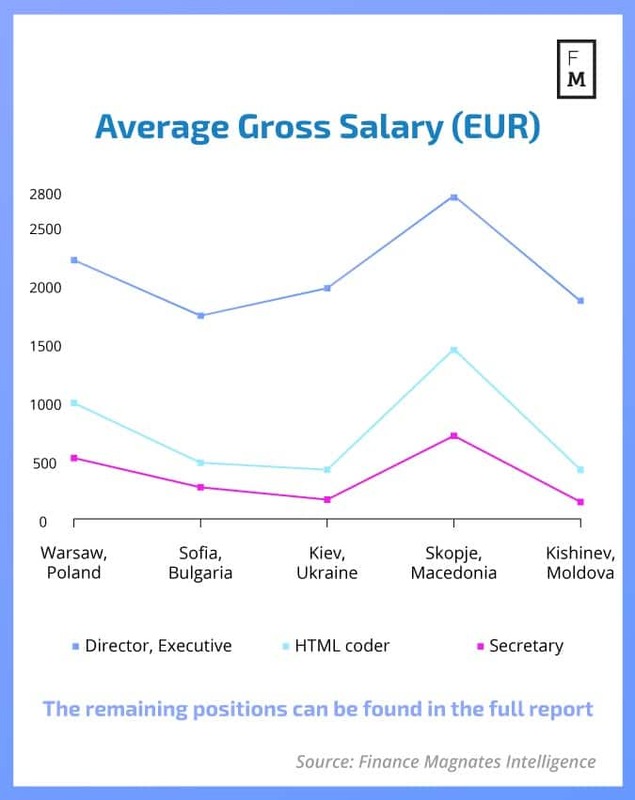 Macedonia is currently attracting many IT companies which hire local talent, leading to a shortage of available manpower. Moldova has a talent pool of many language speakers, allowing you to establish desks for Russian, Turkish and many other languages. And this is just a taste of all the knowledge offered by the report. Helping you figure out personal costs for your new center in Eastern Europe, the report details thirteen different professions that you will need and the average salary you will need to pay them in each country. Rapidly changing global markets, growing operational costs and regulatory burdens are leading to more and more brokers and platform providers outsourcing some of their activities. The most common destinations for outsourcing (mostly for the marketing and R&D departments) are Eastern European countries. In the report, we gathered specified and unique information regarding setup and business costs in selected countries. 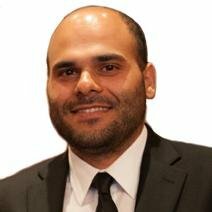 The purpose of this report is to help industry players survive the current hardships, cut costs and even grow their businesses. Contents: A thorough review of the featured countries, including exclusive data on the overall costs of establishing a business. Featured parameters: Office and operational costs, salaries, taxes, legal fees, regulatory requirements and more. Reviewed Countries: Bulgaria, Macedonia, Moldova, Poland and Ukraine. During our long presence in the research industry we have established an extensive network of partners and our data has been regularly published for several years. The main sources of data are localization companies, assisting brokers to establish their business in Eastern European countries. Other sources include brokers, technology providers, HR recruitment agencies and media companies. We have cross-checked information, in order to minimize the risk of working with partial or misleading data. The gathered data was validated and confirmed by local representatives and other databases containing prior information.